Debris and dirt can easily get tracked on the bottoms of your shoes and end up all over the floors in your home as a result. 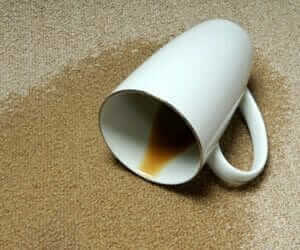 Without regular cleaning, things like hair, dust and even fallen crumbs can also get out of hand. In order to keep your home from getting dirty, it's important to have plenty of catch-all tools in hand that you can use to clean regularly. Whether you need a mop, hand broom or vacuum for the regular maintenance of your home and carpet, you'll surely find the best floor cleaning gizmos in this list. When you need something handy for spills and pickups, this is the place to be. There are a number of floor cleaning tool products that are excellent to invest in, such as dust pans, steam cleaners, steam mops, brooms, laminate wood floor cleaner and vacuums. Each of these cleaning supplies can help a lot in getting any job done and leaving squeaking-clean floors as a result. Instead of spending a lot of energy cleaning, it's better to create a checklist to get the greatest products on the market. Shop here for the best mops, brooms and more to keep your floors squeaky clean! There are a variety of products in this list, so keep in mind what your cleaning needs are. 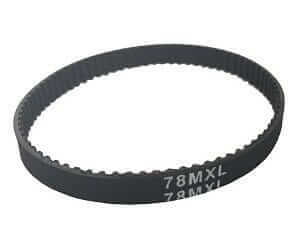 Therefore, you can find something that fits what you need more easily. It's also up to you whether you prefer a manual option or one you have to plug in. 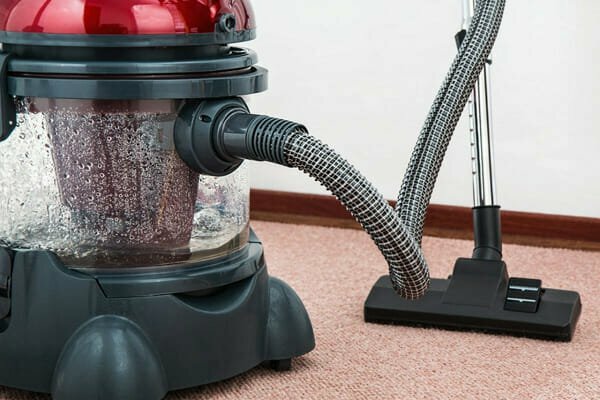 An upright vacuum can be a highly convenient option when it comes to getting your house clean. This Shark Navigator Professional Lift-Away is a bestseller, and consequently a great lightweight tool for easily moving around your home. 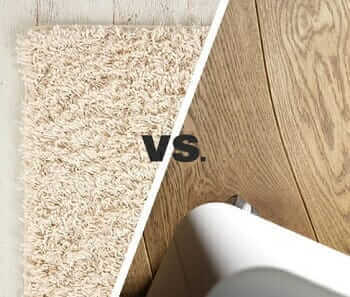 With its ability to easily clean up allergens and dust, it's the best option when you need something versatile. The Shark Navigator's performance will leave you stunned while it collects dirt from the floor easily using a powerful suction. With its Complete Anti-Allergen Seal, it's also going to be able to help allergy sufferers by trapping 99.99 percent of the particles. Along with the machine itself, you'll also get 2 microfiber pads, a crevice tool, powered pet brush, and dusting brush. Due to a 30ft power cord and an extra large capacity dirt cup, you'll be able to spend more time cleaning with this vacuum and less time emptying the container. Especially relevant is that reviewers claim that this vacuum turns cleaning into a breeze, giving it a high recommendation. It's able to dust bare floors in order to help you maintain your home. It's certainly worth trying out! The parts on this vacuum can break only after a few months of use, so make sure you know what to expect from the warranty. There can be some parts breakages as a result of only a few months of use. If you need a powerful vacuum for multiple surfaces, the Shark Navigator is a fantastic versatile product. Want to take a look at some other options? See our guide to the best vacuums cleaners. This Hoover is a wonderful floor cleaning tool and at a little under 20 pounds, it's a lightweight appliance and a top seller for those who need a great carpet cleaning device. In addition, it includes a SpinScrub Technology brush system that helps with thoroughly washing your carpet. With a simple wash with the cleaning solution followed by a rinse, this Hoover tackles pet stains and other cleaning needs to give you the best possible results. In addition, it comes with an upholstery tool, 8-foot hose a great level of performance. Do keep in mind that the water tanks can crack over time, causing leaks, and need to be replaced, but many customers have been very satisfied with this product. Interested in reading more reviews? Take a look at our selection of the best carpet cleaners. Watch out for tank leaks if you decide to try out this carpet cleaner, and make sure both tanks are emptied before storing it. Setup is simple and straightforward. Some customers claim that it’s made from cheap parts. There can be some problems with the tank leaking. 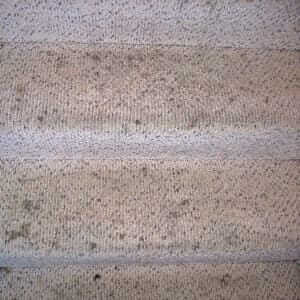 When you're in the need of heavy duty carpet cleaning without a professional, this is a wonderful option. For those in search of a way to clean their wood floors without having to deal with streaks or waxy residue afterward, the Bona Floor Mop is a great option. This tool will surely leave you with clean, shiny floors that will dry quickly after a cleaning session and look fantastic. The Bona mop comes with a helpful microfiber cloth that you can easily toss into the wash after cleaning, therefore saving you money over disposable options. This microfiber mop is also designed to glide across your wood floors with ease. It also uses the Bona non-toxic hardwood floor cleaner so that you can know your floors are not only clean, but also safe for children and pets. The cleaner is sprayed from the front of the mop, and as a result it's easy to spread and get the floor perfectly clean. The Bona mop is an all-in-one unit so you don't have to go through different phases of cleaning. Just run the mop over your floors and wait for it to dry. If you have new floors, this mop is also a great place to start for keeping them looking fresh. Make sure to check your floor for waxy residue after using this product, because on some flooring it can be more noticeable and troublesome. Offers washable pads to help save money. Offers great cleaning ability with little effort. Some customers have experienced it leaving a residue. In some cases, the nozzle has begun to work incorrectly. This is a great mop, designed to make cleaning your floors easier and more efficient. Check our guide about the best hardwood floor cleaners in the market today. For your smaller pickups around the home, the Casabella is ideal. This hand broom is a great buy and makes cleaning up smaller amounts of debris a snap. It's able to reach into edges and cracks in order to ensure a complete job. The Casabella also promotes ergonomic use, with a handle that is angled to allow you to pick up dirt and debris easily. The dust pan also offers great storage for debris as you move it to the trash, as well as an angled tip for making sure you get things picked up on the very first sweep with the brush. Many customers praise the performance of this brush and dust pan set, but it may help to know that in some cases there can be plastic breaks, such as with the handle especially. In most cases though, it's a highly durable product, and one of the best dust pan options out there. Overall, if you need an excellent hand broom and dust pan pair, you can't go wrong with the Casabella. In contrast to what customers tend to expect, there can be some breakages in the handle or lip of the dustpan. Some also claim the brush can fall out too easily. Angled in the middle to keep debris from falling out. Dustpan lip is designed to draw in particles of all sizes. Bristles on brush don’t miss any particles. The lip can sometimes begin to fall off after only a few uses. Some customers claim it’s too small. If you're looking for a dustpan and brush that are designed to pick up everything and keep it contained until you can throw it away. If you want an especially easy way for getting hardwood floors cleaned up, the Swiffer is one of the best options out there because it's quick, easy to use and great for speedy cleaning. The starter kit comes with the Swiffer Sweeper handle, 3 wet cloths for mopping and 7 dry sweeping cloths so you have plenty of time to try out both. Do keep in mind that purchasing more cloths can potentially get expensive over time. This is a good disposable floor duster, capable of picking up dust and debris to provide you with the ability to sweep and mop with a single tool. Using both the dry cloths and wet cloths, you'll be able to clean up as well as dissolve grime and dirt easily. Consequently, it can save you from having to vacuum your hardwood floors. It's also a popular product that comes backed with excellent reviews and sales. As far as disposable products go, this is one of the best ones on the cleaning market. Whether you need to clean up dirt, debris, and hair or just about anything else, the Swiffer is great for cleaning up your bare floors. Because of the disposable, convenient design it may not be the most durable product. You can get dry and wet pads depending on your needs. Some customers claim it isn’t the most efficient. In some cases, the wet/dry pads can have trouble staying on. If you want something convenient and easy to store and use, then the Swiffer is an excellent option. The O-Cedar mop is a bestseller that offers a great ease of use that can help you to thoroughly clean your floors. It's a high quality mop with a convenient built-in wringer to make sure that you can get it to just the right amount of dampness. The great foot pedal also allows you to keep control of the level of water left in the mop. While wringing or tackling dirt, this mop is an excellent product. The mop head is made from a microfiber material that you can re-use so you won't have to worry about purchasing a new head each time. Because it's removable and machine washable, you can just take off the microfiber head to wash, just make sure you replace the pad about every six months depending on how often you use it. Due to the mop material, you'll be able to mop or dust the floors without having to use chemicals. The bucket with the mop also contains two compartments, allowing you to keep clean and dirty water separate. The wringer will also help to squeeze out any water in the mop and allow it to dry quickly. Overall, this mop has a lot of great features including the telescopic handle and splash guard that keep you comfortable as you work. The handle is also designed to allow you to adjust the length up to 51 inches as needed. However, some customers have found that when adjusting the height there can be some problems with the handle not locking into place. On a few occasions, customers have purchased this mop only to find that the head was smaller than it appeared, and too small to work efficiently. Some customers find the mop head to be too small. In some cases it can be less durable than customers expect. If you're looking for a mop you can use over and over, saving you time and money, then this is a fantastic option. Interested in reading more reviews? Take a look at our selection of the best mops. If you need to clean up messes in your household quickly, the O-Cedar Angler is a great way to go. The fantastic angle design on this broom ensures that everything is swept up neatly. Once it's swept, you can then easily move the debris into the extra-wide dustpan that comes in the set. The broom in this set has bristles of two thickness types, which allow it to not only pick up larger clumps but also fine bits of dirt for a more thorough clean. The red design looks great and makes it easy to find, and due to the angle is can sweep up messes from all the corners of your home. It's also easy to swipe, making sure you can clean efficiently and with little effort. Furthermore, as an Amazon best seller is excellent for home owners and renters alike who want something they can use to efficiently clean with. Whether you need your first broom or just to upgrade an older model, you can't go wrong with the Angler. Largely, customers who have purchased this set love the broom but aren't as thrilled with the dust pan, claiming it's difficult to sweep into. Broom catches even the finest particles. Dustpan and broom combine for easy storage. Broom covers a lot of space. Some customers claim that the dust pan is warped. In some cases, the dust pan is difficult to get debris into. If you're in need of a great broom that can easily get into corners and also catch all debris particles with little effort, the O-Cedar is a wonderful option. Are you interested in other option? see here our guide about best brooms. If you have a lot of dust and other debris inside or outside that needs to be cleaned up, this extra-wide dustpan is bound to be a helpful tool. The size is one of the most unusual features for this tool, but it's excellent when you need to sweep up leaves or lawn clippings. It's made from 14-inches of a highly durable plastic that are able to get all the dirt with one sweep. While it is big, this product is also only 14 ounces, making it very lightweight and easy to use. It also has a convenient spot that allows it to attach to a regular broom handle in a snap, making it easy to keep in storage while it isn't being used. Due to the sharp edge that allows this dustpan to allow dirt and debris into it easily, customers and Amazon reviewers alike have found this dustpan to be the perfect addition to their tools. It's especially great for those who have a lot of outdoor debris that needs to be cleaned up, as it can turn several trips with a smaller dustpan into just a few, cutting your overall time down. If you need a large dust pan, this is a great option but make sure you know just what to expect with the size because some customers have found it to be too large to be easy to use. Some customers find it to be too large. While in some cases, the dustpan has arrived in a warped condition. In addition to its size, this dustpan offers a design capable of allowing it to easily scoop up just about anything. This list is the best place when it comes to the greatest cleaning supplies you could possibly want. From vacuums to brooms and mops, each of these tools can help you to get a deep clean in its own way. Furthermore, for efficient and potentially even fun house cleaning, the best products are here to offer you all the help you could need. In conclusion, no matter what your budget or needs are, there are answers here that can help to meet your needs. You'll be able to cut down time and also choose the convenience of a disposable option or the wallet-friendly design of one that you can re-use time and time again.